What is a Campaign in CAKE? 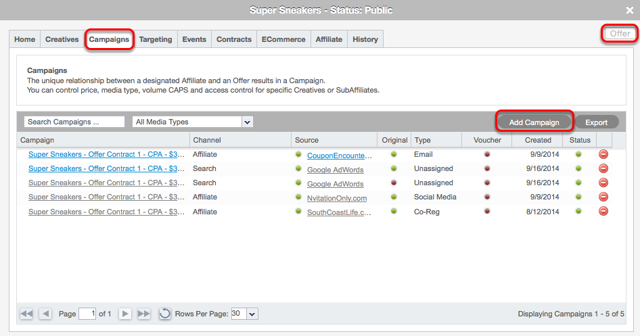 A Campaign in CAKE is the one to one relationship between the Source and an Offer. 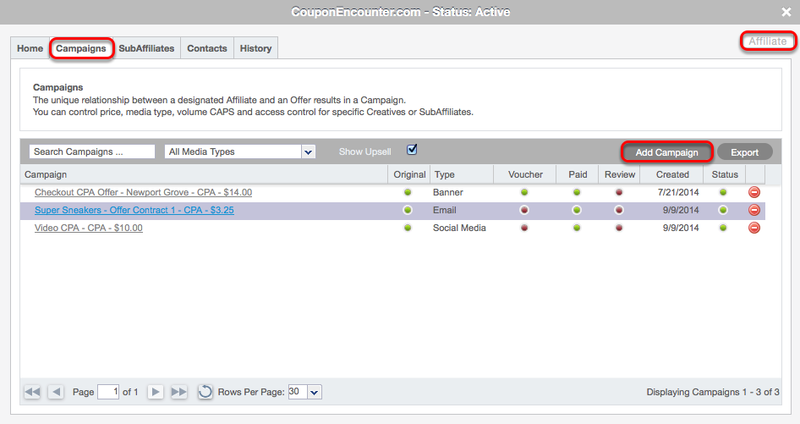 You can see the relationship of the Campaign to the Source and the Offer in the breadcrumbs below the campaign name (highlighted above). 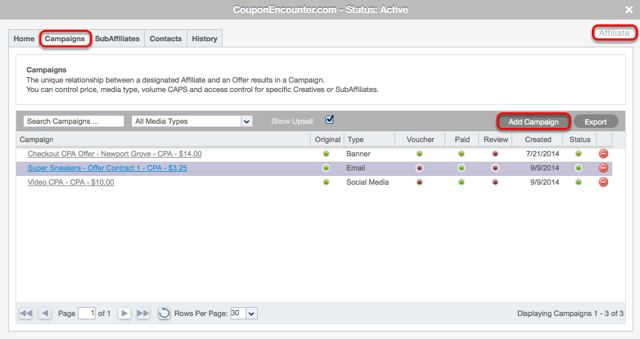 Both breadcrumbs are clickable, providing access to the other cards to review additional information or take further actions. 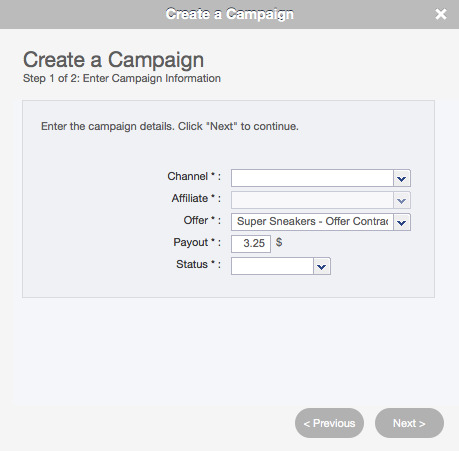 Creating Campaigns through the Main Tab dropdown. 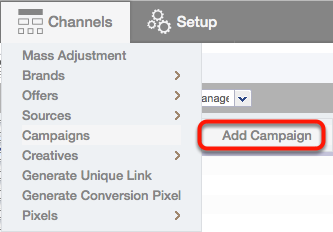 You can additionally create Campaigns through the Channels tab dropdown. Select the Status. 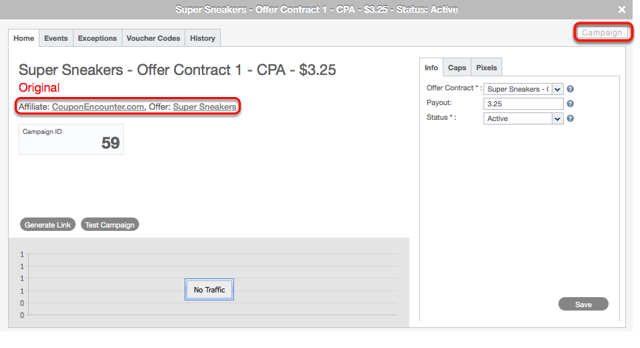 (Active/Inactive/Pending) Only active campaigns allow for a normal redirect of traffic to the offer's landing page. Inactive and pending campaigns will redirect any traffic sent to that campaign through the redirect strategy.